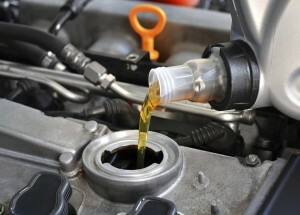 A Regular Oil Change Prolongs the Life of Your Vehicle. Changing your oil on a regular basis is one of the easiest ways to extend the life of your vehicle, and nobody makes an oil change in Vancouver as fast and easy as Art Morse Auto Repair. Regular oil changes provide your vehicle with a number of benefits because oil reduces friction between metal parts. By lubricating the engine, wear and tear is reduced and contaminants are prevented from adhering to the engine. When you need an oil change in Vancouver, come to the professionals who do it right. We don’t just change your oil and send you on your way. We efficiently combine oil and filter changes with a multi-point inspection to help you have a better understanding of what shape your car is in. Don’t know what type of oil your car needs? Your vehicle’s owners manual has recommendations for proper lubrication. Synthetic oil options that are optimum for sports cars and other high-performance engines. Synthetic blend oil options that are great for vehicles that work harder like trucks and SUVs. High-mileage oil change options that are specially designed to help seal leaks and provide better combustion. Fast Oil Change – We’ve performed thousands of oil changes in Vancouver, and have our process down to a science. There’s no reason an oil change should take all day, and if your auto repair in Vancouver WA is taking the better part of an afternoon you’re going to the wrong place. Just because our technicians know how to save you time, doesn’t mean we make sacrifices. Detailed Oil Change – We use the best brand name oil, and every oil change comes with a 14 point service check to ensure other components are in good shape. Our multi-point inspection is designed to catch any of a number of common automotive problems, and we’ll personally inform you if we find anything out of the ordinary. We also drain and replace existing oil, replace your oil filter, and lubricate your chassis. Friendly Oil Change – We always deliver customer oriented service with a number of other great options for your vehicle. Let us help you remember to change your oil every 3,000 – 8,000 miles! Depending on the type of oil you use, we can help you determine how long to wait between changes. And to make service convenient, we offer other car repair options, such as brake repair and auto inspections. We’ll help identify the right service for your vehicle. Call us today!